She emerges naked from the gleaming, white foam of the sea; colourful, fragrant wildflowers grow when her feet touch the ground. Horae, the goddesses of seasons and time, wait for her on the shore to scent her body and weave her eternal robes. Her name becomes a synonym for love, natural attraction and eternal beauty. 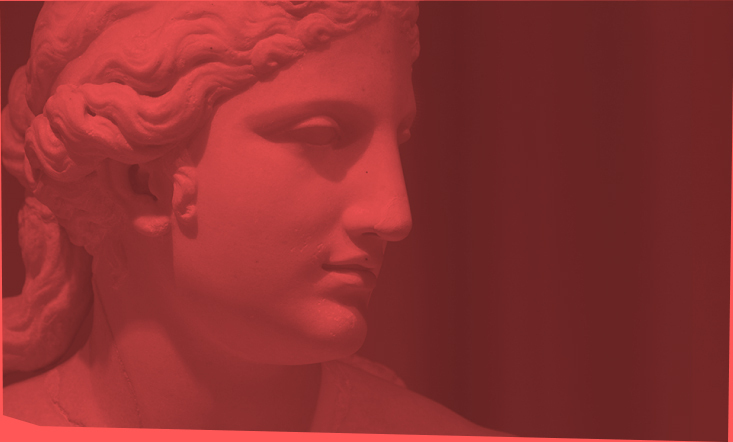 The image of Goddess Aphrodite - captured gracefully and sensually in a multitude of ancient works – takes front row in the new periodical exhibition of the National Archeological Museum - THE COUNTLESS ASPECTS OF BEAUTY. The exhibition focuses on a timeless presentation of the approach on BEAUTY in the various periods of antiquity, as well as the ancient secrets bestowed to mankind by the Goddess herself, according to Greek Mythology. The world of fragrance takes a distinct place among those divine secrets. Wishing to create for the first time a sensory experience of antiquity based on scent, the National Archeological Museum invited the KORRES lab to work on reviving the scents of antiquity, remaining loyal to the ingredients and the methods of ancient perfumers. In this journey of experimental archeology, an attempt was made to decode the fragments of information found on Linear B tablets for record keeping during the Mycenaean Period, relating to the ingredients ordered for the palace’s perfumers. Based on these findings, oil formulas referenced in the works of Dioskourides and Theofrastos and later studies focusing on the ancient technique of aromatic oil production, the KORRES lab started working on reviving the scents of antiquity, remaining loyal to the methods of ancient perfumers. Three primordial, one-dimensional scents – ROSE, CORIANDER and SAGE - take their place among invaluable archaeological treasures - antiquities associated with fragrance ; the Linear B tablets, the amphoras in which the aromatic oils were stored, sculptures that praise body and beauty, statues of Eros, Aphrodite during her beauty regime - to realise a censory experience of the past. Museum visitors are invited to experience the countless aspects of beauty through these treasures but also through the real fragrance of the time, starting with the seductive ROSE OF APHRODITE. The scent of antiquity reborn by KORRES for the National Archeological Museum.